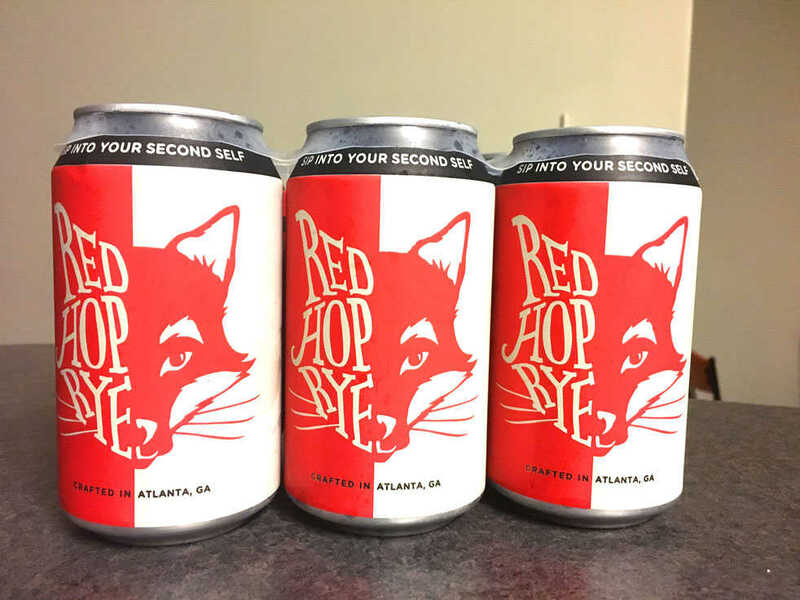 In October 2014, Tech alumni Chris Doyle, MGT ‘07 MBA ‘11, and Jason Santamaria, MGT ‘06, opened Second Self, a brewery on the Westside of Atlanta. The name comes from how Doyle and Santamaria worked on the project in their spare time while still having full-time jobs. It all started with Georgia law changing in 2004 to allow beer to be over 5.9% alcohol. This in turn opened the Georgia market for craft beers and especially IPAs (India Pale Ales) which are more hoppy and bitter than traditional beers. After graduating from Tech, they both got traditional day-jobs, Doyle with GTARC and Santamaria with Teradata (and later IBM). It wasn’t until 2009 that the pair started to seriously think about starting their own business — a brewery. “In 2010 we went to the Brewers Association Conference, which is the largest group of brewers in the world, in Chicago. We went there and we were like alright we’re going to learn how to start a brewery, write a business plan and we’ll be open in like a year, two years max,” Santamaria said. This timeline proved to be overly ambitious and the revised opening date became July 2014, four years later. One of the first major challenges was fundraising. The brewery also had issues with licensing and other bureaucratic red-tape, starting with the government shutdown in 2013. After getting through the government shutdown, there were further delays. “[Our application] was assigned to someone. And then she went on maternity leave. Once it’s assigned to someone, it can’t be reassigned to anyone. So she was gone for eight weeks. Off the bat we had a 12 week delay,” Santamaria said. The opening date was moved from July to October. “Historically, one of the worst times to open a brewery,” Santamaria said. Licensing and other problems pushed back the date, but the planned beers were still geared towards summer. In fall, beer sales tend to decline while liquor sales increase as the holidays approach. “We didn’t know any of that. I mean we also just had to get open because we had promised everyone all this stuff,” Santamaria said. Second Self opened with four beers, only one of which is still in production. “There were definitely things that were completely out of our control that hit us hard,” Santamaria said. On the flipside of that, there were many puzzle pieces that fell into place to make their dream a reality. “There have to be other side things going on near you that really help push your business up,” said Doyle. Through the tumultuous years of planning, fundraising and building, Doyle and Santamaria have remained good friends and recognize their humble Tech beginnings. Doyle started as a chemical engineer and Santamaria started as an industrial engineer. They both later switched to business, albeit somewhat late in their college careers. Santamaria got hands on experience with consulting in an industrial engineering co-op and found it too limiting. “I realized that’s not what I can do the rest of my life, but I was really enjoying the management classes so I switched over,” Santamaria said. Doyle found he enjoyed the engineering aspect but was not as fond of the chemistry. “I wanted to apply myself to something that I was good at and I wanted to stay at Tech doing it. So I fooled around with IE again but I figured that major [business] would eventually get me to the right place,” Doyle said. The co-founders have taken away a lot from their time at Tech. More specifically, Doyle is able to apply what he learned at Tech directly to their business. “What I do day-to-day is operations planning projections. A lot of that is the baseline of strategy and operations at Tech and that’s what I focused on for my undergrad and my MBA,” Doyle said. The pair stress that the key to success, and in turn happiness, is following your dreams. “Our whole business is about living your dream. It’s about how we are living our dream. We worked hard to do it. And you know I encourage everyone to do that,” Santamaria said. “In college I didn’t know. I knew I wanted to have my own thing at some point, but what it was I had no idea. If you told me it was going to be a brewery, I would have probably laughed,” Santamaria said. Second Self currently has 8 full-time employees and 5 part-time employees. “Collectively, amongst everyone, we have literally a decade of experience,” Doyle said. Even with their limited experience, the altruistic pair make time to stay connected to their roots and give back. In addition to just giving back to Tech, Second Self’s tasting room features local artists and hosts monthly comedy nights with Atlanta stand-up. Everything about Second Self is near and dear to its founder’s hearts, from the award-winning can designs to their special occasion beer, Champenoise Saison. Second Self will be celebrating their three-year anniversary on Oct. 7. This event will feature their special occasion beer, along with food trucks like The Fry Guy and Crepe Masters.